Volatility is the new normal in oil and gas. And in this new reality, oil and gas companies have to go beyond process enhancement to reinventing the way they do business. IBM’s tailored solutions for oil and gas can help you gain an edge in a “lower for longer” marketplace, boost productivity despite a shrinking workforce and drive growth in a volatile ecosystem. 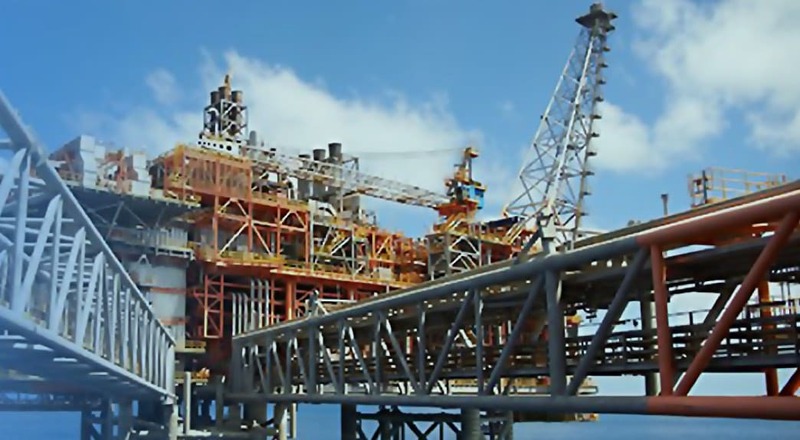 Explore more about IBM Oil and Gas solutions. Ensure the health and safety of your employees, improve your integrated operations, and manage information across phases of capital projects. Ensure the health and safety of your workforce and the environment. Better understand, forecast and manage your end-to-end production environment. Manage information across all phases of capital projects. Enhance exploration and production accuracy while minimizing cost. Maximize production uptime and efficiency with predictive equipment maintenance. Track and monitor global assets in real time to optimize production. Align your logistics strategy with your overall corporate strategy and create a comprehensive system for managing information, all on one platform. Make faster, more informed decisions in near real time. Improve supply chain visibility and performance metrics. Connect stakeholders and lifecycle events involved in various phases. Gain insight into manufacturing operations and identify recurring patterns. Gain insight into manufacturing operations and maximize performance. Manage the end-to-end life cycle of your enterprise assets on one integrated platform. Explore the cutting-edge platform sitting seventy miles off the coast of Australia that marries machinery to cognitive business to become a prototype in its industry. One major industry challenge is making data available to decision-makers in a way that benefits everyone. New methods are required for progressive exploration, seismic technologies and data overload. Use advanced technology and data insights to boost productivity, enhance exploration, improve safety and integrate operations. Discover new roads to innovations by understanding complex data quickly and accurately with IBM Watson®. IBM IoT solutions help connect devices across all systems and platforms, streamlining operations. Transform your business and your ecosystem with agility and security gained from IBM Cloud™ solutions. Improve efficiency and transparency and open new revenue streams with IBM Blockchain solutions. Cognitive analytics puts beneficial data and innovation at decision-makers’ fingertips. If tapped effectively, the Internet of Things (IoT) can provide a competitive edge. With worldwide input, we explore how the most successful and effective organizations operate.